Collaborative menu items of the TV animation, “Baki” will be sold from October 5th, (Fri.) 2018 to October 31st (Wed.) at four “CAFFE & BAR PRONTO” stores (Tokyo City i Café Store, Tokyo Soramachi Store, Sapporo Pole Town Store and Hakata Green Hotel Tenjin Store). 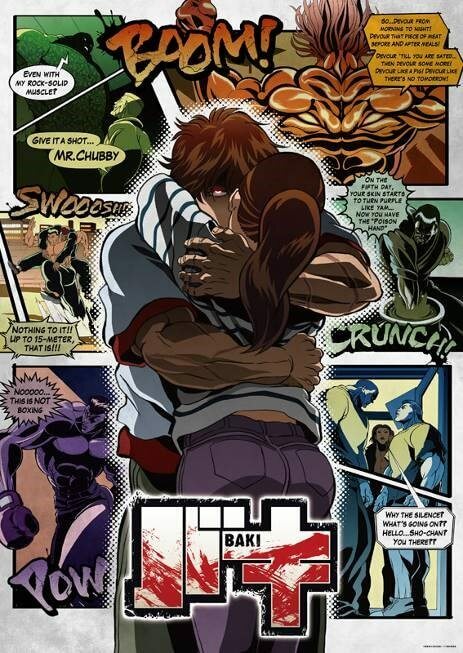 The “Baki” series serializing in “Weekly Shonen Champion” is a very popular manga which depicts furious battles of fighters centering around the battle between the youngest champion of the underground battle arena, Hanma Baki (the main character) and “the world’s strongest life form,” Hanma Yujiro. 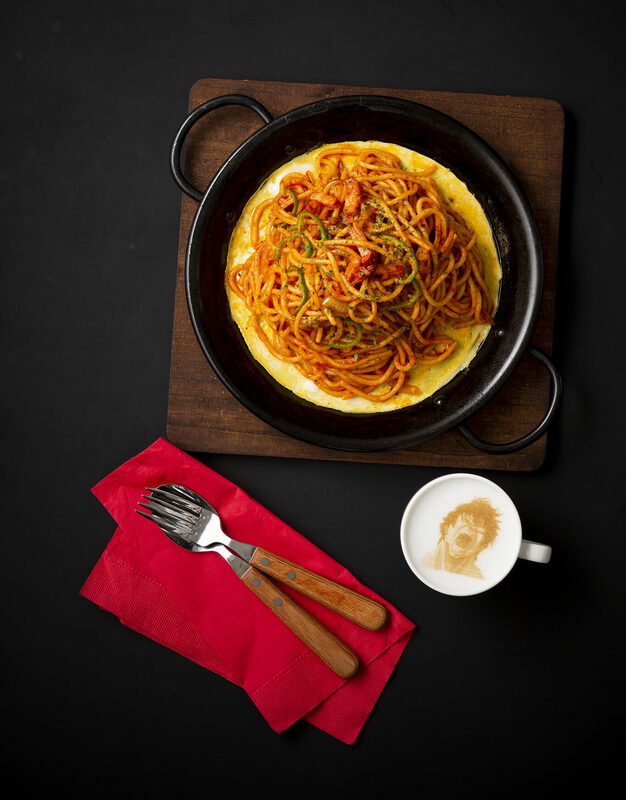 The collaborative menu items are “Tokusei Omori Napolitan (large spaghetti), 1,080 yen (tax included)” using the motif of a dish that Baki would make and “Fukakunimo Latte Art wo Ireteshimaimashita (latte art of 12 kinds of Baki characters), 650 yen (tax included)” which depicts the characters of the series. During the collaboration period, “Baki animation’s original random coasters will be offered (five kinds available). For those of you who love the Baki series this is a must visit! Enjoy their superb menu items!